In 1944, there were two Faculties: the Faculty of Road Construction and the Faculty of Automotive and Mechanical Engineering which trained specialists in the following areas of specialism: motorways, bridges, automobiles and automobile facilities, road-building machines and mechanisms. Yu. Dadenkov was appointed the Director of Kyiv Automobile and Highway Institute. In 1954, a Thesis Committee for presentation of Candidate of Science theses was established; in 1957, a Thesis Committee for presentation of Doctor of Science theses was established. In 1964, a research sector (the future research division) was established at Kyiv Automobile and Highway Institute. In 1965, the Faculty of Engineering and Economics was organized at Kyiv Automobile and Highway Institute. In 1970, the Department of Pre-University Preparation started to function at Kyiv Automobile and Highway Institute. In 1974, an All Union traditional student cross country motor race was organized to compete for KAHI prizes. In 1975, the Faculty of Professional Development was formed. On January 8, 1979 the first issue of the Avtodorozhnik was released. During its first years of life, 452 issues were released. From 1991 to 2002, the Avtodorozhnik was not published. In 2003, the new rector of the university renewed its publication. Since that time, approximately 600 issues have been published. The newspaper covers the life of the university to the full. It is students who prepare materials that describe their studies, leisure and recreation. 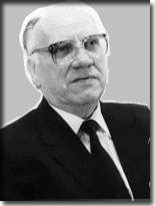 In 1984, V. Kanarchuk was appointed the Rector of Kyiv Automobile and Highway Institute. In 1984, the Faculty of Engineering and Economics of Kyiv Automobile and Highway Institute was reorganized into the Faculty of Economics and Road Transport Maintenance. In 1985, the Faculty of Correspondence Education was organized at Kyiv Automobile and Highway Institute. In 1987, the Faculty of Automotive Engineering was reorganized into the Faculty of Automotive and Mechanical Engineering. In 1990, the General Engineering Faculty was formed at Kyiv Automobile and Highway Institute. In 1992, the Faculty of Continuing Education was organized on the basis of the Department of Professional Development of Kyiv Automobile and Highway Institute. In 1992, the activity of an educational complex began, with the complex consisting of Kyiv Automobile and Highway Institute, automobile, road construction, and road transport technical schools (colleges) of Ukraine. In 1993, the Faculty of Economics and Road Transport Maintenance was renamed into the Faculty of Transport Management. In August, 1994, after the state accreditation Kyiv Automobile and Highway Institute received the status of a technical university, the highest fourth level of accreditation and the name of Ukrainian Transport University (UTU). In 1998, the Faculty of Pre-University Preparation was established on the basis of the Department of Pre-University Preparation and preparatory courses. In 1999, the Institute of Transport Economics and Business was formed on the basis of the Faculty of Continuing Education and Professional Development. In 2000, UTU was granted the status of a national higher education institution and the present name: National Transport University (NTU). In 2000, the Research Institute of Transport and Construction Technology was formed on the basis of the research department. The Institute has completed 85 research works financed by government with total financing volume of 12517.488 k hryvnas as well as 495 business contracts with total financing volume of 27626.160 k hryvnas. The Institute has introduced 405 developments. The authors of the developments have received 321 documents of title. More than 15 thousand students have taken part in research. Since 2005, 111 Candidate of Science theses and 9 Doctor of Science theses have been successfully defended. In 2000, Lviv Education and Consulting Center of the fourth level of accreditation formed part of NTU. In 2003, on being elected at the conference of NTU staff Professor Dmytrychenko M.F. was appointed the Rector of National Transport University. In 2003, according to the decision of the University Academic Council of October, 1, 2003 the Institute of Correspondence Education and Distance Learning was established on the basis of the Faculty of Correspondence Education. In October, 2003 the International Education Centre for Information Technologies was formed on the basis of the NTU Centre of Information Technology. In 2003, the University IV-th level of accreditation status was yet again confirmed. In 2004, the Faculty of Pre-University Preparation was reorganized into the Institute of Pre-University Preparation and International Cooperation. In May, 2004, Department of Road-Buildings Materials and Chemistry organized a research laboratory «Materials and Constructions Technology in Transport Construction» and named it after Professor Syunii G.K. The main objectives of the laboratory include developing and introducing new long-lasting materials to highways, bridges and airfields. In 2004, the Nadvirna College of the first level of accreditation and the Bar College of Automotive and Highway Engineering of the first level of accreditation formed part of National Transport University. In 2005, five outstanding university scholars became laureates of the state prize of Ukraine in science and technology. In 2005, the university was approved as a coordinator of TEMPUS TASIS projects. At present the university participates in 20 international projects. These projects are carried out by 29 international universities. In 2005, the diploma «Leader of Transport Complex of Ukraine» was awarded to the university. In 2005, the Academic Council of NTU named the hydraulics laboratory of the Department of Bridges and Tunnels after Professor Yu. Dadenkov. In 2006, the Kryvyi Rih Education and Consulting Center of the fourth level of accreditation was established. the Faculty of Transport and Information Technologies. In 2007, Ivano-Frankіvsk Education and Consulting Center was established. In 2010, in Bologna, Italy, the University obtained a certificate of Associate Member of Magna Charta Universitatum (European University Association). In 2012, the first agreement for cooperation between EUROCAR and NTU was concluded. In terms of this cooperation 4 research complexes and 35 department branches were established. In 2012, the Lviv HigherVocational School of Transport Technologies and Services joined NTU as a separate unit of the university. In 2012, NTU won «The Best Invention of 2011» nomination in the All Ukrainian «Invention of 2011» competition. In 2013, the European Commission honored NTU with an award in Partnerships Development and Management. In 2013, at International Education Exhibition of 2013, NTU won the Grand Prix «Leader in Education and Science of Ukraine» in nomination «International Cooperation in Education and Science». In 2013, a branch of the International Education Centre for Information Technologies was opened next to the instruction and library building at 42, Kikvidze Str. It has two multimedia classrooms with 25 seats in each of them. In 2013, the Kyiv college of transport and engineering joined NTU. In 2014, a complex of inventions «Excavating Part of a Rotary Trencher « won the first prize in «The Best Invention of the Year» nomination of «The Invention of the Year» competition organized by the Ukrainian Institute of Industrial Property. On October 24, 2014, the Council of European University Association admitted. National Transport University as a Full Member of European University Association. In 2014, the Faculty of Road Construction was reorganized into the Faculty of Transport Construction. When Kyiv Automobile and Highway Institute was founded, the training of motor engineers, highway engineers and bridge engineers was renewed in Kyiv. Before 1930 such specialists had been already trained at the corresponding faculties of Kyiv Polytechnic Institute, and afterwards at the Kyiv Institute of National Economy (later Kharkiv Automobile and Highway Institute and Dnipropetrovsk Railway Engineering Institute were formed on their basis). The work and research of a number of prominent and famous scholars and managers of higher education establishments is associated with the University name. These involve M.O.Lavrentyev, Doctor of Science in Engineering, Physics & Mathematics, Academician and Vice-President of the National Academy of the USSR, Academician of the National Academy of Sciences of Ukraine, academician of several other academies, State Prize Laureate; he was recognized as the founder and Head of the Siberian Branch of the National Academy of the USSR; A.O.Vasylenko, a well known figure in the field of the machine-building industry, Academician of the National Academy of Sciences of Ukraine; Professor D.A.Rudenko, a prominent scientist and a builder ( State Prize Laureate), Professor V.A.Roiter, a physicist and a chemist (Academician of the National Academy of Sciences of Ukraine, Honored Scientist of Ukraine); O.O.Sigov,a scientist and a metallurgist ( State Prize Laureate ); M.O.Kilchevsky, Academician of the National Academy of Sciences of Ukraine. For 70 years of its existence, National Transport University has prepared over 70 thousand specialists for Ukraine, the former USSR and many countries of the world. Our university was among the first institutions of higher education in Ukraine to train professionals in: road traffic engineering and control, road transport economics, economics of road construction, equipment and technologies for the durability increase and the renovation of machinery components, transport management. In 1944, 274 students studied at the university; in 2014, more than 17,000 did. Highly-qualified specialists teach and do research .There are 56 Doctors of Science, Professors and 291 Associate Professors, 11 Laureates of the State Prize of Ukraine, 24Members and Corresponding Members of the Academy of Ukraine. From 1948 to 2014, 27 staff members became laureates of different prizes. As of today, there are three educational centers, a research institute, and eight separate units: 3 educational consulting centers and 5educational establishments of I-II level of accreditation. NTU trains specialists in 20 fields of study and gives them 30 different qualifications. ( For more information, visit faculty sites). Since 1963, the university has trained international students. Over this period, the university has trained students from 20 different countries: Azerbaijan, Bangladesh, Belarus, Bulgaria, Armenia, Georgia, Ecuador, Estonia, Israel, Iran, Jordan, Kazakhstan, Kirgizstan, China, Latvia, Lithia, Moldova, Germany, Peru, Russia, Syria, Sudan, Turkmenistan, Turkey, Uzbekistan.3885 professionals have been trained. Currently 700 international students from 10 countries are getting basic higher education at the university. In 1944, KAHI was housed in a two-storey building of the former Kyiv-Pechersk male gymnasium № 5. In 1960 the reconstruction of the main building was completed. It started in 1945 when two more floors were added to the building. In 1966, a four-storey laboratory building was finished which improved conditions for studies and research. In 1988, an instruction and library building was opened. The building made it possible to solve problems related to the location of departments, laboratories and classrooms. The total area of instruction premises is approximately 50,000 square meters. In 1985, the university solved the problem of student accommodation when a nine-storey hostel №5 was put into operation. The so-called “high comfort” hostel has special apartment blocks for married students and their families. Today, students live in 5 hostels, with 4 of them being located near the instruction and library building and making a university campus. International students have no problems of taking up residence in the hostels. In 1957, the university was given a construction site in a pine wood not far from the Dnipro River next to Pliuty village, one of the picturesque parts of Kyiv Region. A summer camp for students was erected there. As time passed, the camp became a health center. Thousands of students, staff members and their families have had a rest there. Our students spend their holidays in camps in the Carpathians and on the Black Sea coast. In 1979, a two-storey canteen with two spacious halls and a refreshment room that can seat 380 people was built. The canteen provides meals for staff members and students. In the instruction and library building there is also a canteen with 50 seats. To improve food quality for students and staff the kitchens, the halls and the refreshment room were overhauled, reequipped and furnished in 2009. The university has powerful sports facilities. In 1970, the university opened a three-storey Sports Center at 36a,Kikvidze Str. The center has a 25 meter swimming pool with a water mirror of 500 m2, a great playing hall and gyms for wrestling, heavy athletics. The floor space of the center is 3586.4 m2. In 2014, open-air basketball and volleyball courts were built. The Library was created in 1944. At that time it held 17,500 printed items. The number of students, i.e. readers, was increasing every year, so the library had moved to the instruction and library building in 1989. It occupies two floors (7th and 8th) and has 5 reading halls, collections of educational and research printed items and a collection of fiction books. As of today, the information resources of the library contain about 550,000 printed items. For 10 years, an automated library information system which is compatible with international standards has been functioning here. With the help of this system an e-catalogue of the library has been created. The library has its own website http://library.ntu.edu.ua. This site is open for everyone who wants to get access to its resources. Over the years of its existence, NTU has maintained contact and continues to foster links with international educational establishments and production companies. They are Environmental Research Institute of Michigan, Universities of Georgia, Ohio and Pennsylvania (the USA), the Higher School of Architecture and Construction( Germany), Mining Academy “Politechnika”(Poland), “ Angel Kanchev” Technical University(Bulgaria),College of Transportation and Communications(Hungary), “Natal” University( South-African Republic) Bosh Rexroth Ag Mobile Hydraulics(Germany), Deutz AG(Germany), Elfstotec GmbH(Germany), Grammer AG (Germany), Autokuhler &Co KG(Germany) and others. Born on October, 28, 1911 in Lubny, Poltava region. Graduated from Kharkiv Automobile and Highway Institute in 1933. Since 1952 – Doctor of Science in Technology. Since 1961 – Corresponding Member of the Academy of Sciences of Ukraine. From 1933 to 1941 – Assistant Lecturer, Associate Professor, Head of Department at Kharkiv Automobile and Highway Institute. From 1941 to 1944 – took part in military operations. From 1944 to 1959 – the Rector of Kyiv Automobile and Highway Institute. 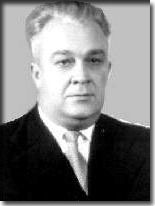 From 1959 to 1973 – Minister of the Higher and Secondary Special Education of Ukraine. From 1973 to 1991 – Professor at the Department of Road Design of Kyiv Automobile and Highway Institute. The author of more than 60 scientific works and manuals. Among them: three-volume edition of “Hydraulic Calculations” (1951), “Hydraulic Calculations of the Opened River-Beds” (1961) which were translated into Chinese and published in China. Born on August, 27, 1920 in Kyiv. In 1946 graduated from the Odessa Institute of Civil Engineering. From 1947 to 1950 – did a postgraduate course at Kyiv Automobile and Highway Institute. In 1951 defended his Candidate of Science thesis in structural mechanics. Since 1952 – Associate Professor. From 1952 to 1959 – Dean of the Road Construction Faculty of Kyiv Automobile and Highway Institute. 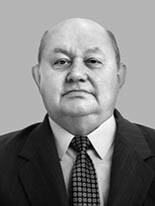 From 1960 to 1987 – Head of the Department of Structural Mechanics of Kyiv Automobile and Highway Institute. From 1987 – Professor of the Department of Materials Resistance and Structural Mechanics. The author of many articles and manuals. As a coauthor he wrote the textbook “Statics of Buildings» that has been published many times in Ukraine and abroad. Born on February, 23, 1936 in Kyiv. In 1961 graduated from the mechanical faculty of the Ukrainian Academy of Agricultural Sciences with qualification of a mechanical engineer. Since 1976 – Doctor of Science in Technology. Since 1992 – Academician of the Transport Academy of Ukraine. Since 1994 – Academician of the Transport Academy of Russia. Since 1996 – Academician of International Engineering Academy. Since 1998 – Academician of the International Academy of Informatics. As a scientist V. Kanarchuk contributed to the development and introduction of protective wear resistant surfacing of machine components into production. He was Laureate of the State prize of Ukraine in science and technology. He was born into the family of teachers in the town of Snyatyn, Ivano-Frankivsk region on December, 19th, 1952. In 1976, he graduated with honors from the mechanical faculty of the Kiev Institute of Civil Aviation Engineers where he went all the way through from a post-graduate student, an assistant lecturer to a professor, head of department and a vice rector. 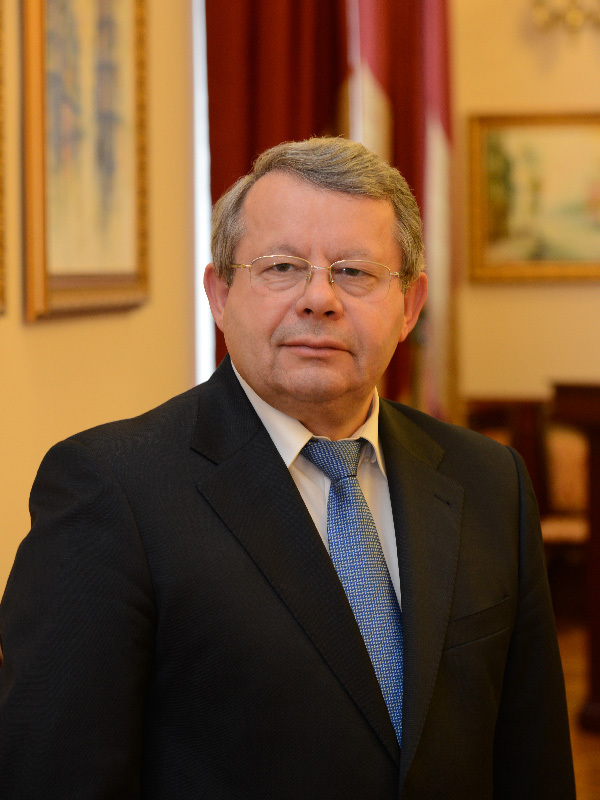 From 2000 to 2002, he served as Head of the Higher Education Department of the Ministry of Education and Science of Ukraine, and it was in that role that he was included into the Commission drafting the Law on Higher Education in Ukraine, developing the concept of distance learning in Ukraine and other legislative and regulatory acts on higher education. He is Honored Worker of Science and Technology of Ukraine, Doctor of Science in Engineering, Professor, Academician of the Transport Academy of Ukraine (1994), Academician of the Ukrainian Academy of Tribology(1997),Vice-President of the Ukrainian Academy of International Tribology Council (1999), Ukraine State Prize Laureate in the field of science and technology(2005), Prize Laureate of Ukrainian Komsomol and Ukrainian Scientific and Research Council in the field of science and technology(1982), Corresponding Member of the Academy of the Pedagogical Sciences of Ukraine, the President of the Transport Academy of Ukraine, awarded the Orders of Merit of the II-nd and ІІІ-d degrees. Dmytrychenko M.F. is a well-known and well-qualified expert in the field of machinery and tribology (gear & pinion science). He has authored over 200 research papers, including monographs: “Elastohydrodynamics: Theory and Practice”(2000), “Lubricating Processes in Unsteady Friction Conditions “(2002). Dmytrychenko M.F. has developed a number of new methods of machinery wear resistance and reliability enhancement. He was an active participant in the exchange and training programs held with the universities of Great Britain, the USA and Canada. He is a member of editorial boards of a number of research journals and theses committees.